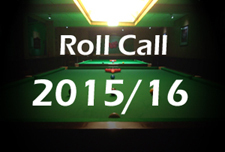 A professional of over 20 years, it is easy to forget just how good a player Nigel Bond has been during his career. But for the exceptional talents of Stephen Hendry who was responsible for ending his hopes at the Crucible on a number of occasions, Nigel would surely have won more than the one ranking event title that he has to date. A solid all-round player, Nigel although in the twilight of his career remains a tough opponent to beat and was recently pushing for a place in the top 16 having at one point appeared to be in free-fall. His best days may now have gone but he remains a stern test for any of the younger players looking to take his place in the rankings. As an amateur Nigel consistently managed to impress, notably reaching the final of the English Amateur Championship in 1986 where he lost out to Gary Wilkinson. Over the coming years he was to claim a number of titles, as well as finishing as runner up in three major pro-am events. In 1989 he was to make amends for his earlier defeat to Wilkinson by going one better in the English Amateur Championship, defeating Barry Pinches to take the title before beating Ian Black in the professional ticket play-offs to earn a place on the main tour. 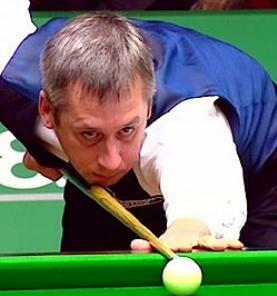 It did not take Nigel long to make an impact as a pro as he reached the last 64 in his first event before reaching the semi-finals of the 1989 BCE International where he would lose out to Stephen Hendry. With a quarter-final in the European Open and a run to the last 16 of the Dubai Classic also to his name, he ended his first season in an impressive 39th position. 1990/1 saw further improvement as he moved up to 21st, aided by a terrific run to the final of the Grand Prix where he would again lose to Hendry. Other notable results included quarter-final places in the UK Championship and the Irish Masters as he put himself in a good position to challenge for a top 16 spot the following year. This he did as he reached four ranking event semi-finals, as well as making his début at the World Championship in Sheffield. Although he lost in round one to Alain Robidoux, his successful season overall had done enough to lift him comfortably into the elite top 16 at 9th position. 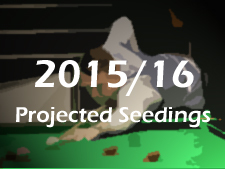 He managed to maintain this position the following season as he reached a further four ranking event quarter-finals. The most notable of these was at the World Championship where having gained revenge over Gary Wilkinson for that English Amateur defeat, he lost out to Hendry 13-7. Indeed the following year was to be a similar story, again reaching the quarter-finals at the Crucible before losing out to Hendry, 13-8 this time. The most notable story of this run however was his amazing comeback from 2-9 in the first round against Cliff Thorburn to win the match 10-9, undoubtedly one of the all-time great comebacks at the Crucible. It was to be the 1995 World Championship where he was to have his best ever run at the title however. In the first round he beat the up and coming Stephen Lee in a close match before edging Alan McManus to make his third successive quarter-final. This time it indeed proved to be third time lucky as he beat Wilkinson 13-7 before moving on to defeat Andy Hicks in the semi-final 16-11. Through to his first world final he faced none other than (you guessed it), Stephen Hendry, by now a four time champion at the Crucible. Unfortunately for Nigel it was to prove a familiar story as he lost out to the Scot for the third year in a row in Sheffield, 18-9. Although he lost out in that match, the confidence he took from the tournament helped him to a terrific start to the 1995/6 season, reaching the final of the Thailand Classic, as well as the quarter-finals of the UK Championship. His real moment of glory was to come at the British Open however; one of the most exciting matches ever to be televised on Sky Sports. After a long match against John Higgins it all came down to the deciding frame that Nigel amazingly managed to win on the final black having required a snooker. Another good run at the World Championship before once again losing out to Hendry in the semi-finals was to follow and overall his results were strong enough to elevate him to a career high ranking of fifth. 1996/7 was to be a mixed season as although he excelled in the invitational events, winning the Malta Grand Prix and reaching the semi-finals of the B&H Masters, his results on the ranking circuit were less impressive. The highlight was a run to the final of the Thailand Open where he lost out to Peter Ebdon, before Stephen Lee gained his revenge in the first round of the 1997 World Championship. With the ranking points from his 1995 final coming off, Nigel’s ranking was to drop to 8th position. Sadly, despite winning the invitational Scottish Masters, Nigel’s form in the ranking events was to seriously drop off over the next few years, culminating in him falling out of the top 16 at the end of the 1998/9 season. After this Nigel continued to struggle, though a run to the semi-final of the Scottish Open in 2002 briefly halted his slide down the rankings. This was to be an exception as at the end of the 2002/3 season he fell out of the top 32 and looked to be in desperate trouble. He did manage to steady the ship however and manage to retain a top 48 place for the next couple of seasons before moving back into the top 32 for 2005/6. Without setting the world alight, Bond did however manage to qualify for the 2006 World Championship in Sheffield where he was to come up against old foe Stephen Hendry in the first round. By this time Hendry was struggling to maintain his own high standards and Bond had as good a chance as ever, moving 6-3 ahead after the first session. Hendry though showed his class, fighting back to eventually level the match at 9-9 and set up one of the most dramatic finishes ever seen at the Crucible. It went right down to the deciding black, Nigel eventually sinking it to take a historic win…or so he thought, as incredibly the white went into a middle pocket meaning that the match would come down to a dramatic re-spotted black. Eventually however Nigel managed to pot that to seal a sweet win, though he was to lose in the second round to eventual winner Graeme Dott. During 2007/8 Nigel performed well consistently enough to remain in contention to regain a spot in the top 16, ten years after he was last there. At 43 years of age, Nigel was now the second oldest player in the top 32 but nevertheless playing as well as he has done in a while. The following season however was to see Nigel’s form decline rapidly as he lost his opening round match in the first six events of the campaign and found himself well down the one-year list as a result. His first win finally came in the China Open tournament against Scotland’s Jamie Burnett but a 5-0 mauling at the hands of Ali Carter out in Beijing soon brought his hopes to an end at the TV stage. He did though manage to enjoy a relatively successful run at the season-ending World Championship, coming through a nervy final qualifying match with Mike Dunn 10-7 to qualify for the Crucible for the 15th time. Once there he appeared to have a good draw against fellow struggler Peter Ebdon, but then typically for Nigel, Peter went and won the China Open two weeks before their meeting in Sheffield! Still, Bond was not to be disheartened and managed to win the match by a comfortable 10-5 scoreline to earn more precious ranking points. His run was eventually to come to an end at the last 16 stage against Welshman Ryan Day but by reaching that stage, Nigel had at least done enough to retain his place in the top 32 for 2009/10. 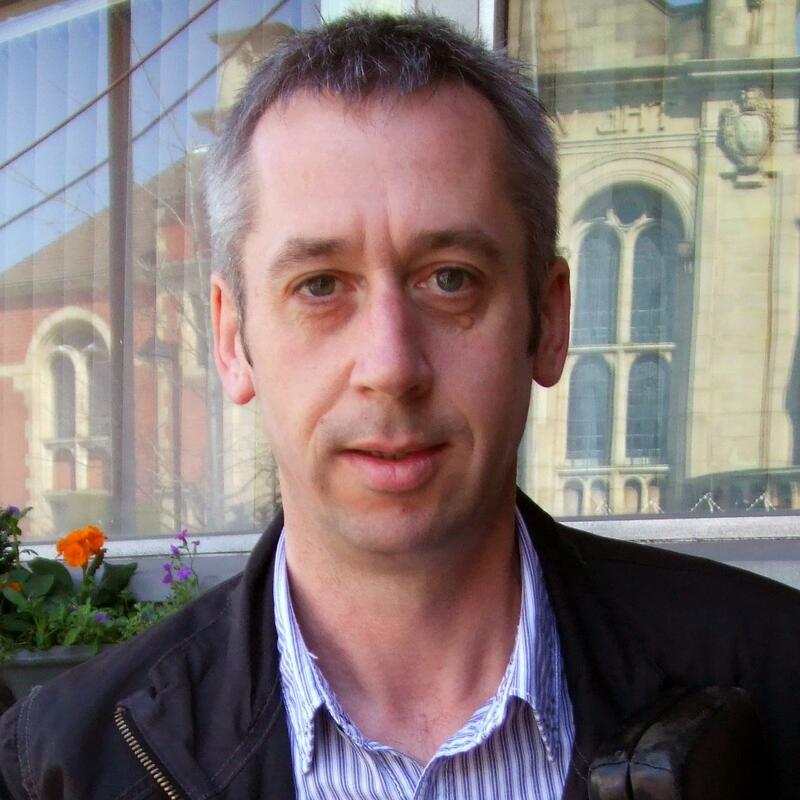 Nigel began 2009/10 by taking gold in the World Games with a 3-0 victory over Leeds’ David Grace but his form in the ranking events continued to be patchy as he won just two matches during the first three tournaments of the season to leave his top 32 place in doubt. 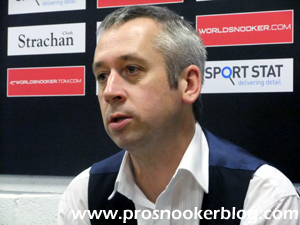 A last 16 result at the China Open was to provide him with a boost but defeats in both the Welsh Open and crucially his World Championship qualifier against Pinner Potter Martin Gould saw him drop to 38th position in the rankings at the season’s end. 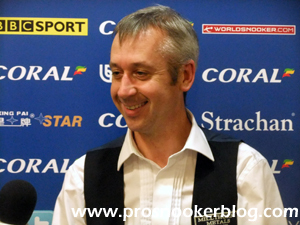 Nigel’s start to the 2010/11 season was solid if not spectacular as he won matches during most of the PTC events without ever threatening to go further. He also performed well during the the World Open qualifiers to move up a couple of places to 36th at the first mid-season rankings revision. A disappointing 9-7 defeat to Peter Lines during the qualification stages of the UK Championship was to follow but from there he was to go on an inspired run, winning seven successive qualifying matches to reach the TV stages of the German Masters, Welsh Open and China Open tournaments. In the midst of this run however was to come a far bigger victory as he captured the inaugural Sky Shoot Out tournament at the Circus Arena in Blackpool. During his run Nigel defeated Joe Jogia, Stephen Lee, Rory McLeod, Mark King, Marcus Campbell and finally Robert Milkins to demonstrate that speed was not everything when playing under shot clock conditions and take home the top prize of £32,000. Unfortunately Nigel’s season was to end on a low note as he lost his opening match during the 2011 World Championship qualifiers in dramatic circumstances, 10-9 to Welsh outsider Andrew Pagett. At one stage Nigel had looked well-placed to clinch the decider only to see Pagett earn two snookers on the colours and clear for a memorable victory. As a result Nigel would finish the season ranked 40th. Nigel enjoyed a solid start to 2011/12 by successfully qualifying for the televised stages of both the Australian Goldfields Open and Shanghai masters, but was unable to progress beyond the last 32 of either tournament. His performances during the PTC tournaments were again consistent with five last 32 runs representing his strongest results. There was however to be disappointment at the World Seniors Championship as coming in to the tournament as the favourite with the bookmakers he was then to suffer a shock defeat at the hands of 1985 world champion Dennis Taylor. Following the turn of the year, Nigel was to struggle for results, in fact following his first round victory against Adam Duffy at the World Open qualifiers, he lost five consecutive matches in ranking events through to the end of the season. The last of these defeats was to come at the World Championship qualifiers as he lost 10-7 to China’s Cao Yupeng, though Nigel was able to retain his place inside the top 48, finishing the season 45th. Nigel made a reasonable start to the 2012/13 season by defeating Michael Wasley and Mark King to qualify for the venue stages of the Australian Goldfields Open, where he would lose 5-1 to local hero Neil Robertson in Bendigo. His best results in the PTC events were to be a couple of last 16 runs at the UKPTC2 and ET5 tournaments, while he was also able to qualify for the venue stages of both the German Masters and the Haikou World Open. 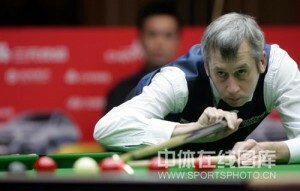 During the second half of the campaign he was able to win his opening matches at both the China Open and Welsh Open qualifiers, while his best run was to come at the Haikou World Open, where having received an opening round by against Ali Carter, he was then to lose 5-1 to Judd Trump at the last 16 stage. 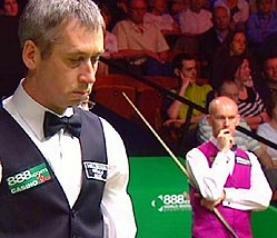 His season was to end however with a 10-8 defeat to old rival Alan McManus at the World Championship qualifiers. 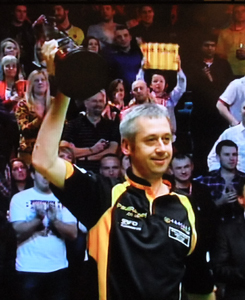 Perhaps Nigel’s biggest achievement of the season was to come away from the ranking event circuit, as he captured the 2012 World Seniors Championship on SkySports. Winning his three qualifying matches in Sheffield without the loss of a frame, he then defeated Dennis Taylor, Tony Knowles, Darren Morgan and surprise finalist Tony Chappel to claim victory at the Mountbatten Centre in Portsmouth. The first half of Nigel’s 2013/14 season was to prove relatively uneventful, his best result a last 16 run at the ET1 event in Bulgaria, while his defence of the World Seniors title was to be ended by Steve Davis, who won their final 2-1 in Portsmouth. His best run during the second half of the season was to be a last 32 run at the China Open, before a 10-5 defeat to Stuart Carrington at the World Championship qualifiers brought his season to an end, his ranking down to 57. 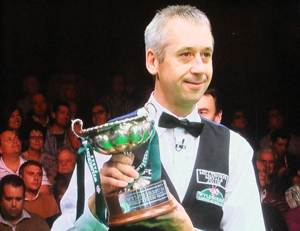 The 2014/15 season was to be another difficult one for Nigel as he struggled for consistency, but there were to be highlights as he memorably came back from 5-0 down to defeat Barry Hawkins 6-5 on his way to the last 32 of the UK Championship, while he also reached the last 16 of the Indian Open later in the season. Unfortunately however, defeat to Igor Figueiredo, combined with other results at the World Championship qualifiers meant that Nigel would drop outside of the world’s top 64 at the end of the season, though he would retain a main tour place thanks to his results at European Tour level.